We are building a Canada where Indigenous job seekers have equal access to employment opportunities as all other Canadians. Our Children's Medicine bridges the gaps between Indigenous job seekers, Canadian businesses and nonprofit agencies to eliminate barriers to employment. Using HigherMe's assessment-based hiring platform, job seekers create an online profile that eliminates the resume and instead highlights skills, cultural, traditional and lived experiences. "With OCM, I was encouraged to think about what aspects of my culture could benefit me in the workforce, skills I hadn’t used before when applying for work. I now work full-time at OFIFC in Toronto!" "OCM has finally found a way to advance our community without sacrificing our cultural skills and experience. They took their time, and listened, and I wish they were around years ago!" "I don’t just like OCM, I LOVE it! I’ve never had this level of engagement with the Indigenous community. It’s magical." See our platform in action! Since partnering with HigherMe in September 2017, we've set the course towards building a sustainable, national employment tool. Our Children's Medicine connects Indigenous and barriered job seekers, Canadian businesses and nonprofit agencies to eliminate barriers to employment. Using HigherMe's assessment-based hiring platform, job seekers create an online profile that shifts the focus from prior work experience to lived and cultural experiences.  OCM became an independent not-for-profit in 2017 with governance and oversight provided by Birch Hill Equity Partners. ‘Our Children’s Medicine’ has been incorporated under the Federal Not-For-Profit Corporations Act.